To house, support, and advocate for people experiencing homelessness. 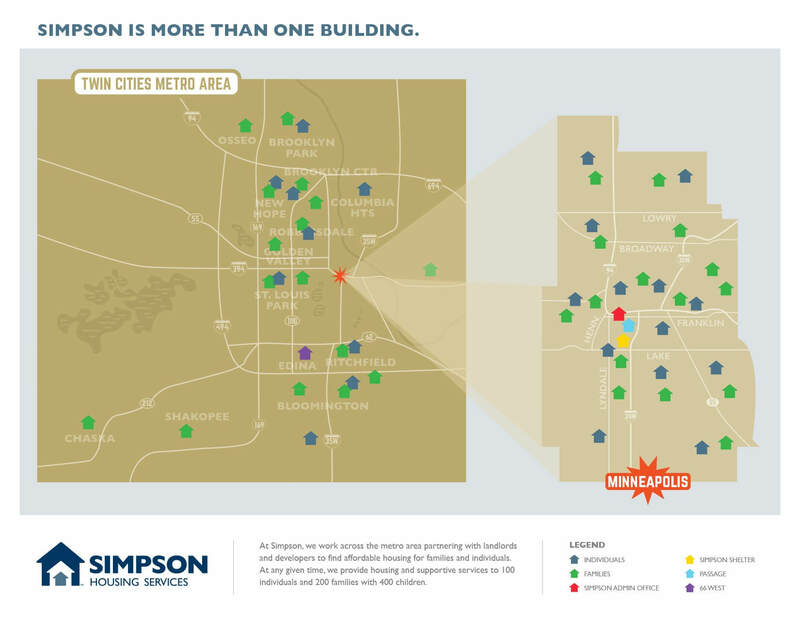 Simpson Housing Services began as an emergency overnight shelter in the basement of Simpson United Methodist Church in 1982. Simpson has since become a leading nonprofit providing assistance to people experiencing homelessness. 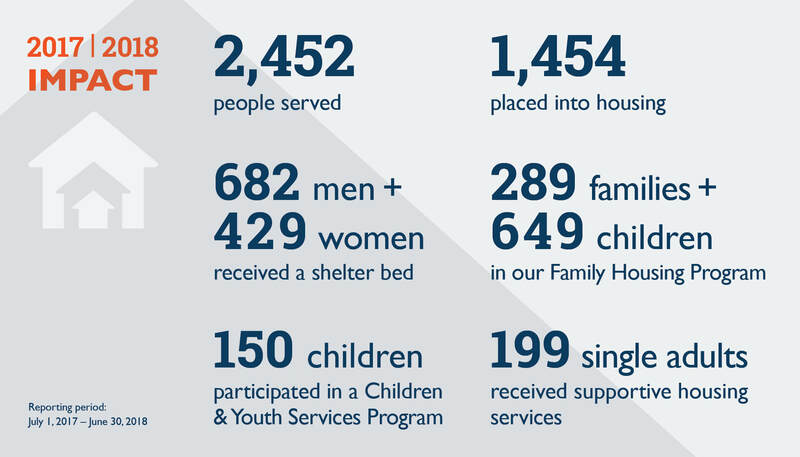 In response to unmet community needs, our programs have grown to include emergency shelter, single adult supportive housing, and family supportive housing. We work across the metro area, partnering with landlords and developers to find affordable housing for all families and individuals. At any given time, we provide supportive services to 100 individuals and 210 families with over 500 children. – view our housing locations in the community. We believe that everybody has the right to safe and affordable housing. We celebrate and embrace the uniqueness and dignity of every person. We encourage people to draw upon their strengths and promote the power of self-advocacy. We advocate against the injustices of society that cause homelessness and poverty. We strive to create a collaborative community with the individuals we serve, within Simpson, and with the greater community. "Anytime I had any problems, Simpson provided me with the necessary resources to solve the issues. During the Christmas season, Simpson volunteers provided gifts for my girls that put smiles on both of their faces. Without Simpson giving us a hand in our lives, we would not be where we are today." Simpson Housing Services has met all standards and is qualified to display the Charities Review Council Seal, which demonstrates accountability to donors and funders.